How does Lauren Morrill do it? She writes some of the most adorable YA contemporaries ever. I can always count on her books to make me laugh and swoon. I just love the premise of Being Sloane Jacobs. Two girls with the same name who meet and decide to switch lives for the rest of the summer? It's such a fun idea! I love how figure skating and hockey are incorporated into the book, too. I haven't read many YA books about ice skating, and I loved getting to learn about it in this book. The two main narrators are both so unique and hilarious. I could easily relate to Sloane E. and her struggle between pleasing her family and doing what she enjoys. Sloane D., on the other hand, has a tougher and more aggressive personality, but this just made me like her even more. She has a funny sense of humor. I really love that both Sloanes have very different voices and personalities; I never got them confused at all. Morrill excels at writing two separate and distinct POVs in this book. Most authors can't accomplish this feat very well, but I was impressed with Morrill's ability to make both voices stand out. The plot is very fast-paced and lighthearted. Of course, one must overlook the fact that in real life, the two Sloanes would have never been able to switch places without being found out right away. If you can get past that and simply enjoy the story, it's full of laughter and entertainment. I like how there's also some serious moments mixed in, though. Both Sloanes are running away from something in their life and trying to discover themselves, and there's a lovely coming-of-age theme about what it truly means to grow up. This was an all-around fun, romantic read. Lauren Morrill is one of my favorite contemporary authors, and I can't wait to read her future books. 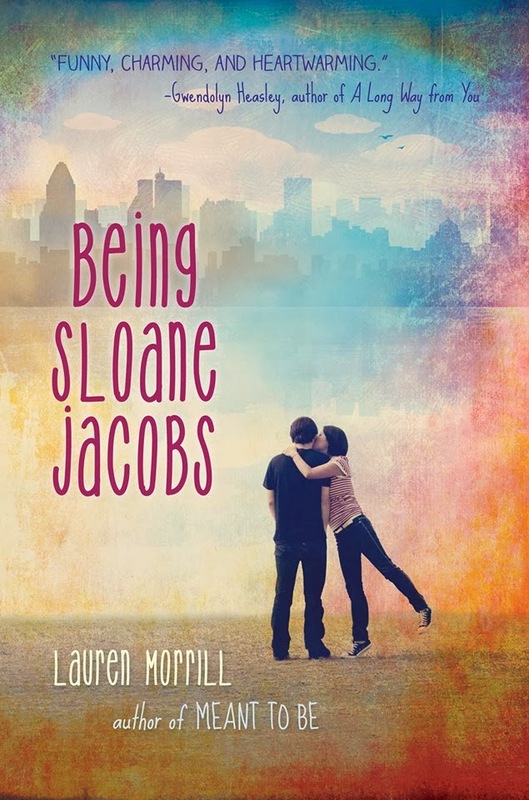 Being Sloane Jacobs is perfect for fans of contemporary books such as Anna and the French Kiss or Smart Girls Get What They Want. If you're looking for a sweet, funny read, this is it! Favorite quote: "Wannawatchamovietonight?" I say it so fast it all comes out as one long, newly invented word (country of origin: Swoonistan; meaning: "to swoon so hard as to be rendered incapable of enunciation").